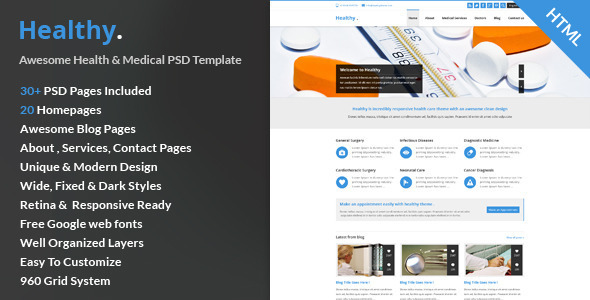 Healthy – Awesome Health and Medical HTML5 & CSS3 Template is a creative Health and Medical Template with Clean design, it suits perfect for your health, medical, doctors or corporate website. The psd files are fully layered and customizable. All elements in groups and can easily identify by the group name as well.